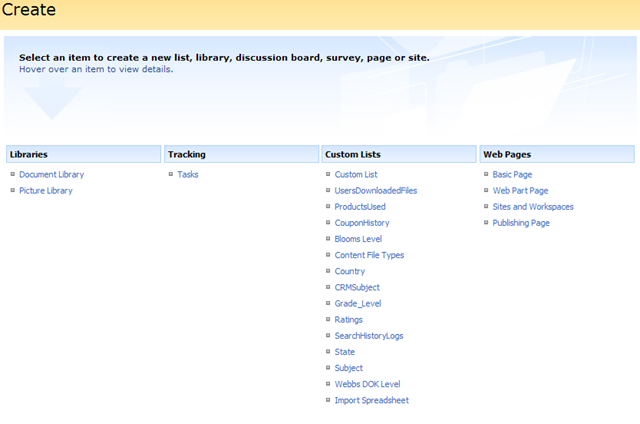 Missing Lists and Libraries on the SharePoint Create Page (create.aspx) | Are you a user? 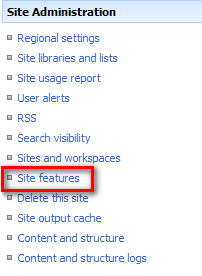 If you find yourself missing lists and libraries on the create page in SharePoint and you’re wondering where where your WIKI library, contacts list, announcement list, calendar, and all the other goodies went, you’ll need to check to insure that the features are enabled on your site. Here’s a case where there are plenty of custom lists, but not many of the out-of-the-box lists. It’s very possible you created your site with a publishing portal template and all the other goodies were not turned on by default. To correct this, you’ll need to navigate to the Site Features page under Site Administration. 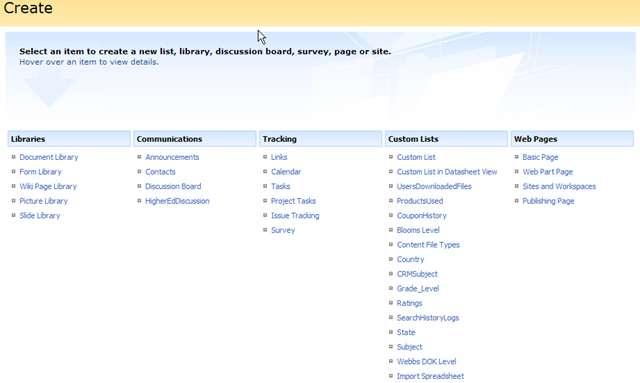 From here, you can see that the standard features and team collaboration lists are not activated. So, activate the standard site features and team collaboration lists. You should be able to create all the lists and libraries you want! This was a big help! Thanks for posting.